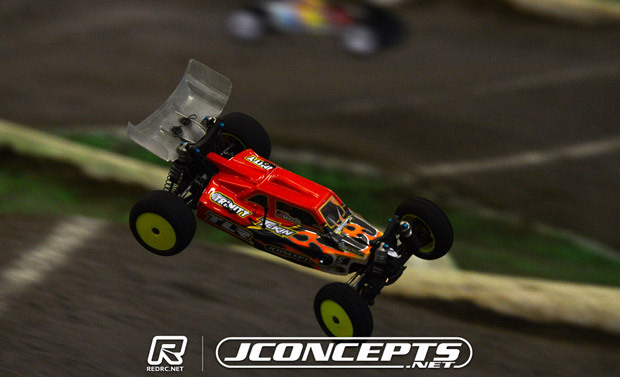 Steven Hartson has taken the top honours in 4WD Buggy at the JConcepts Spring Indoor Nationals which was making its first visit to Tacoma R/C Raceway in Washington State. 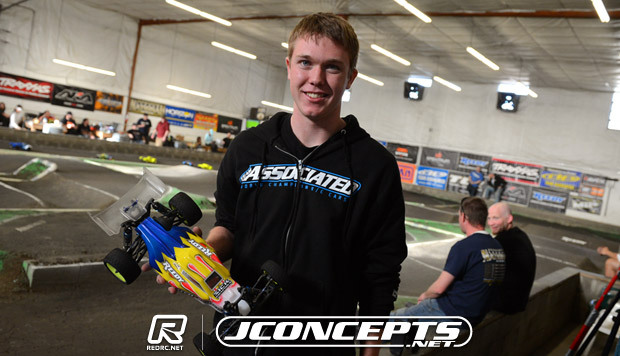 With local racers stamping their authority on Mod Buggy, in 4WD it was first time visitor Hartson who wrapped up his first buggy victory of the 2014 series thanks to a win in A3 over JR Mitch and Tyler Vik. With all three drivers in contention for the overall win going into A3, the closing race at Scott Brown’s track would see Top Qualifier Vik have contact with both his rivals, the Xray driver fairing the worst of both A3 incidents to finish third overall behind Mitch. With Hartson and Vik coming together on the opening lap of A2, Vik coming away with the win and Hartson dropping down the field before pulling off to save tyres, in A3 the World Champion was taking no prisoners. Running behind Vik for 2/3rds of the race Hartson would make a move down the inside of Vik that would see the XB4 rolling as the two buggy touched wheels. While Vik felt he was clearly hard done by in the move, Hartson saw it as just hard racing. Finding his B44.2 a little edgy in A3, which stopped him from pushing as hard as he would have liked, the Californian driver said he still had the faster car, as highlighted by him being the only driver to do a 13-second lap in the race, and had the inside line for the corner and went for it. Dropping to third after the incident as Mitch got through, Vik would have further woes in the race as he tried to get back passed the Team Losi Racing driver. Closing on the winner of the season opener held in St. Louis, Vik would connect with Mitch at the start of the triple as the battled over 2nd. 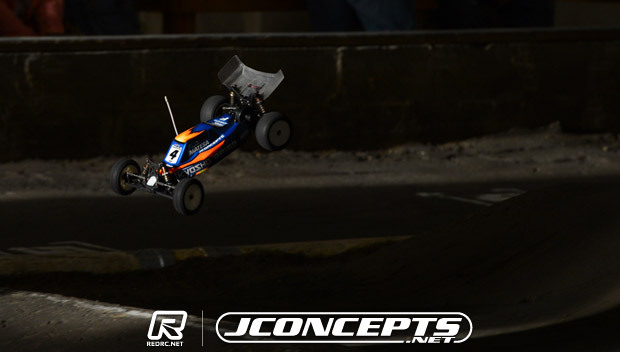 While Mitch would go to the right of the jump losing a small amount of time, Vik would fly off to the left of the track just under the drivers stand losing 4-seconds he wouldn’t recover. Mitch said he just tried to hold his own in the race adding that Hartson was ‘on another planet’ in terns of his lap times this weekend. Admitting to having to block to keep Vik behind him overall he was happy to come out the event with second overall. 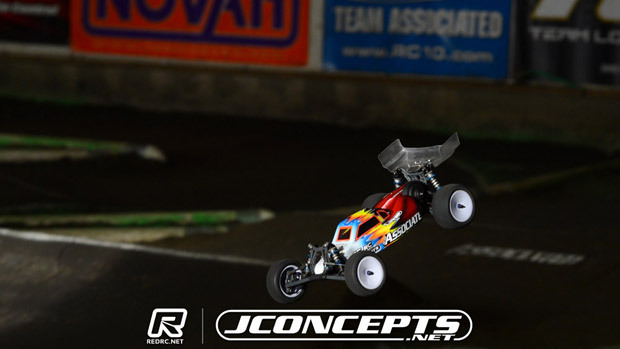 As if there was ever any doubt based on his blistering pace from the very start of the weekend, Michael Schoettler has taken the big win at the JConcepts Spring Indoor Nationals at Tacoma R/C Raceway. 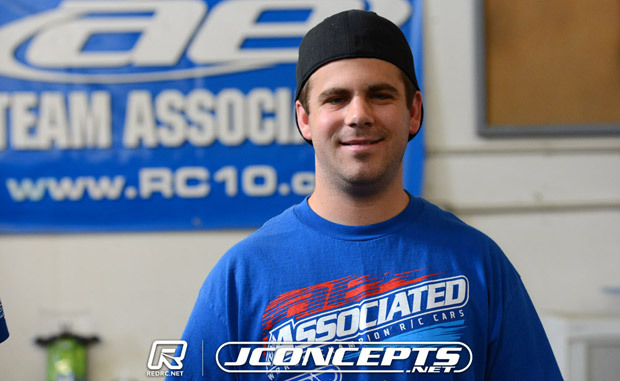 Winning A1 with ease, A2 would prove a tougher affair for the Associated driver as fellow Tacoma racer Luke Smith mounted a challenge that would see him lead for four laps half way through the 5-minute encounter. A coming together between the two, who are used to battling one another weekly at Scott Brown’s track, Schoettler retook the lead holding on to head home Smith by just under a second to claim a very popular overall 2WD Mod win. In A3 Smith would go on to take an easy over Tanner Denney with Ryan Matesa seeing off a major challenge from Brent Thielke to finish third. The result would see Smith & Matesa complete an all local talent podium with Thielke ending up as the best visitor with fourth overall. 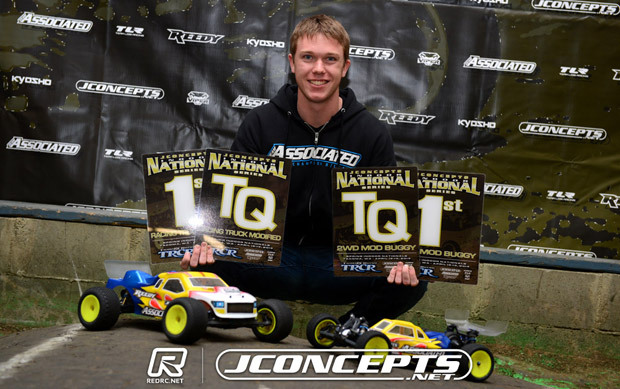 Having taken three of the four qualifiers on route to the overall TQ, Schoettler said although A1 was a relative easy and straight forward affair, helped by Smith having issues with his front tyre selection, he always expected the 20-year-old to give him a good race. Leading away A2 from pole position, this time round with Smith in toe, a small mistake at the roller double was enough to allow the No.2 B5M to move to the front. Schoettler said he was happy to follow for a few laps but a mistake by Smith, which would see the two tangle, would result in him being handed back the lead which he would hold util the end. With his Reedy powered buggy ‘great to drive’ he said once in front again he just got more & more comfortable with it as the race went on. Describing his win as one of his biggest, he said winning at home in front of his family & friends made the race extra special. 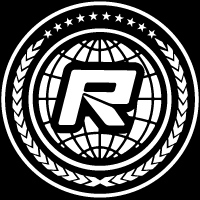 After changing to a less worn front tyre after A1, Smith said his buggy was ‘way better’ allowing him to challenge his long time local rival Schoettler. Describing the race as ‘action packed’ he said he couldn’t recall most of it but he enjoyed his battle for the lead despite losing out on forcing the overall decider to go to A3. 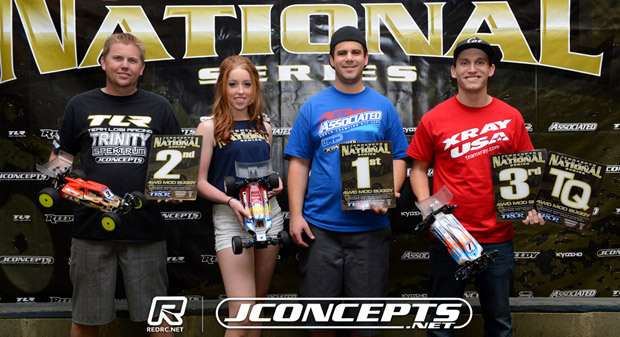 With second overall still open between him and Matesa, Smith made sure to lock down the runners up spot with a dominant drive. 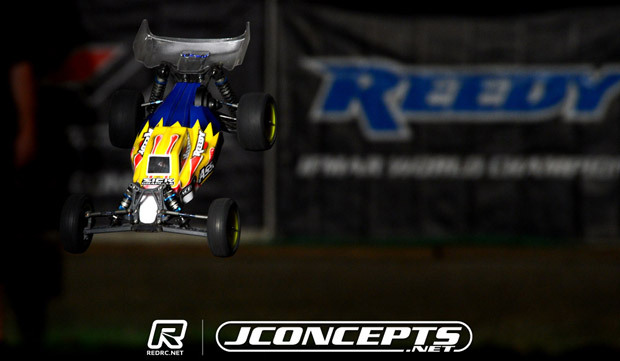 Setting the fastest race time of the three mains he would finish 7.5 second clear of JConcepts Indoor Nationals season opener winner Denney who himself had a strong drive from 7th on the grid. 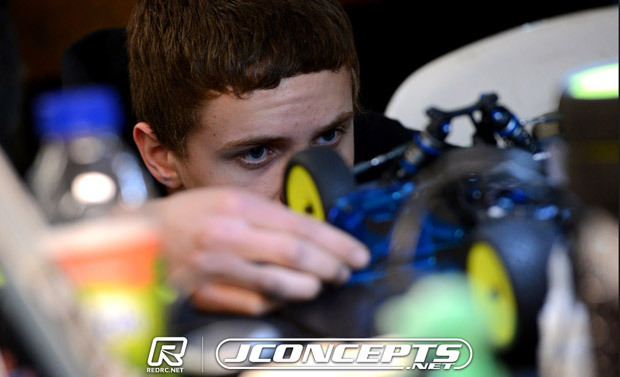 Michael Schoettler and Steven Hartson took comfortable wins in the opening legs of the main Buggy A-Mains at the JConcepts Spring Indoor Nationals, Top Qualifier Schoettler dominating Mod Buggy while Hartson came out on top in the 4WD Buggy which saw three lead changes. Behind Schoettler Luke Smith finished as he started with Ryan Matesa making up one place to complete the Top 3 of the 2WD class. In 4WD, World Champion Hartson was followed home by one time race leader JR Mitch and John Walentia while Top Qualifier Tyler Vik had a tough race eventually pulling off to save tyres. Winning by a 6-second margin Schoettler described his drive to victory as a ‘smooth clean race’. Helped by an early bobble by the similar B5M of Smith, the 18-year-old said this allowed him to get a gap on the field and from there he was able to ‘control the race’. Never forced to push over the 5-minutes he said his Reedy powered buggy was like in this morning’s Q4, very easy to drive and for A2 his plan is to just try and ‘repeat’ A1. Switching to the tyres he used to TQ Q3, Smith said the fronts were too far gone leaving him with an aggressive car. Trying to just pace himself so as to not to traction roll he said after an early mistake he tried to push to catch back up with the leader and ended up traction rolling. Happy to come away with second for the race, the 20-year-old will run a larger pin AKA tyre for A2 which he hopes will allow him to mount a challenge to his fellow local racer Schoettler. ‘Went good’ was how Matesa summed up his race. 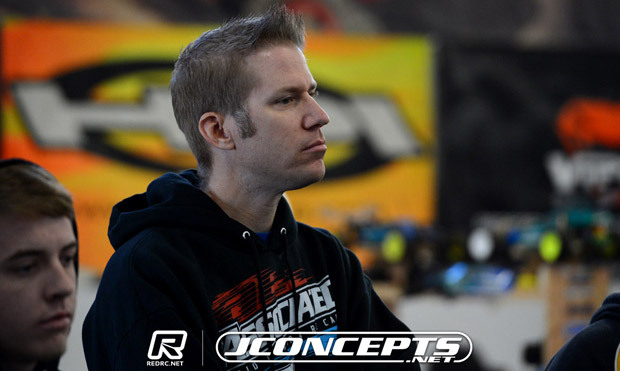 Planning to be patient, he said that paid off and he was able to get by the No.3 buggy of JC Johnson when the TLR driver went wide on lap 3. Closing in on second he said the only flaw of the race was when he over jumped his Kyosho over the double just before the loop and flipped his Orion powered RB6. Fitting new front tyres for the race he said this helped and he was happy with the consistency of the car. For A2 he said the plan is to drive a little more aggressively. Finishing fourth from sixth on the grid Brent Thielke was the best of the visitors but the Associated team manager said his B5M was ‘better than fourth’. 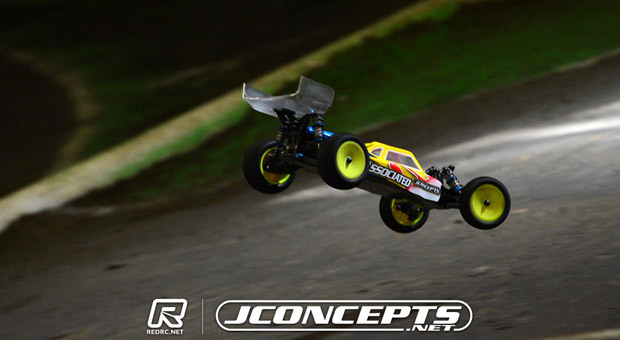 Running a set of front Barcodes tyres JConcepts’ boss Jason Ruona had been using on his B5M, Thielke said his Reedy powered B5M was much smoother to drive than in qualifying due to the bigger pins with a different insert also contributing the improved performance. 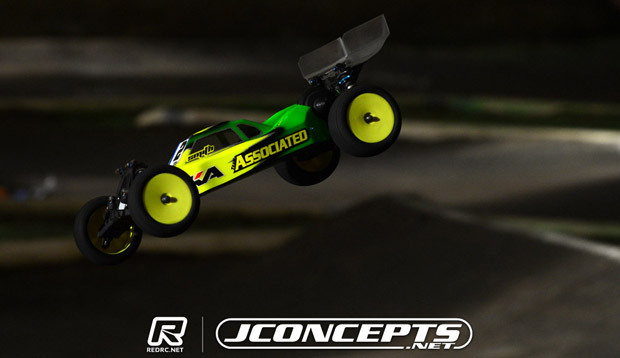 While he cant match Schoettler he is confident he now has the car to race the others starting ahead of him. Running a new set of tyres on hisB44.2, Hartson said this was the best his buggy has felt all weekend but it took a bit of getting used to at the beginning of the race. 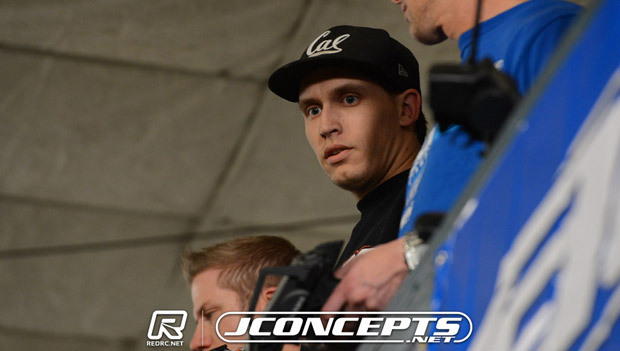 Running JConcepts Dirt Webs on the rear and Barcodes on the front he said it was so easy to drive that even when he had control of the race after Mitch’s delays he still pushed it hard. Despite rolling out of the race lead which he held for 9 laps, Mitch was happy with second saying it was a good start. Benefiting from a mistake first by Hartson and then Vik, he said he just drove his own race. Rolling over his TLR22-4 on the table, something he said was due to him ‘turning a little too much’, this allowed Hartson to the front but as he tried to recover from the roll a tangle with Thielke ultimately ended his chances of re-challenging for the lead. Really happy with the buggy, for A2 he said all he plans to do is ‘charge the battery’.